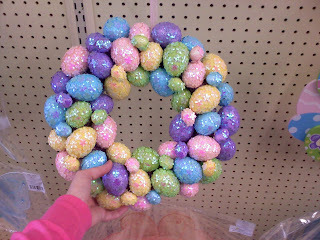 I found this totally cute easter wreath at Hobby Lobby, but the price tag said $40! For styrofoam, really? Then I noticed a sale tag for $20 and I still thought it was way too much. So I set out for my local Dollar Tree. They had everything I needed. I grabbed some small sparkly eggs, a wreath, and I grabbed some larger eggs on sticks, but I didn't end up using them. I spray painted the wreath white, although you cant see it anyway so you could probaly skip that step. The eggs had little ribbon loops on them for hanging on a tree, so I just pulled them off and glued them on the wreath. That's pretty much all I did. I glued them all facing the same direction, and I only glued them in the front of the wreath. I need to make a better bow for it, but I need some practice on that! I think it turned out pretty good in the end, especially because it only cost me about $9! Way better than $40 if you ask me! Wow that looks great and I agree it looks even nicer and more professional than the $40 one! I love this. 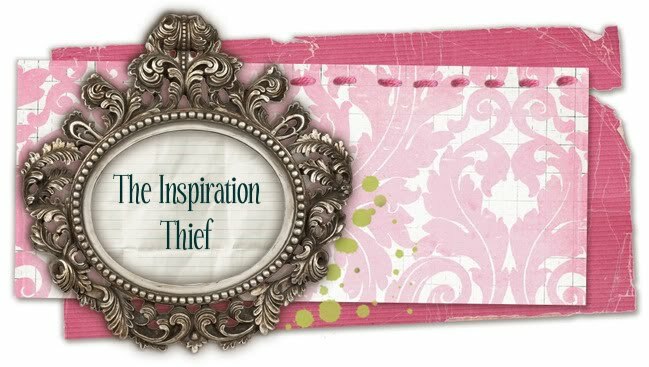 It's so cute : ) I just posted it on stumbleupon for ya! Jessica-- I love this! It turned out better than the Hobby Lobby wreath! I love making things for next to nothing! 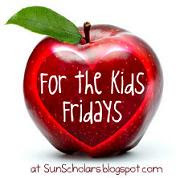 I find it so rewarding!!!!! It really looks good.